The Skinny - HEALTHeME's Official Blog: Your Plate May Help You Lose Weight! The food guide pyramid is now a thing of the past and in its place is a portioned plate designed to help weight loss. 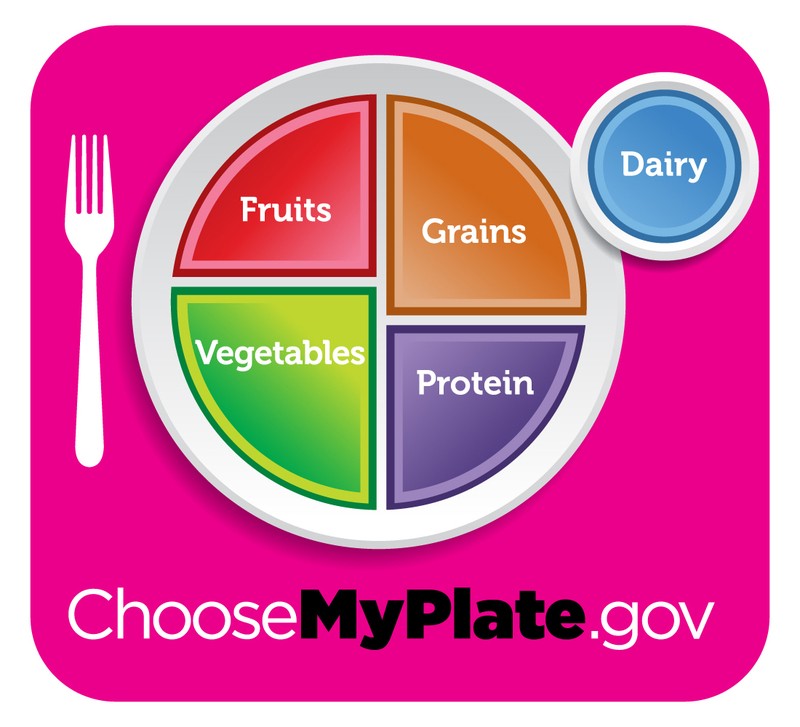 The United States Department of Agriculture (USDA) recently released MyPlate, a visual tool that should make it easier for people to make better food choices and serve up more reasonable portion sizes for weight loss. MyPlate shows Americans what their plate should “ideally” look like, with 50% of the plate containing fruits and vegetables. This new tool is very different from the standard American diet, which is heavy in grains and protein. Many felt the food guide pyramid was confusing and not something that called people to make an immediate change. 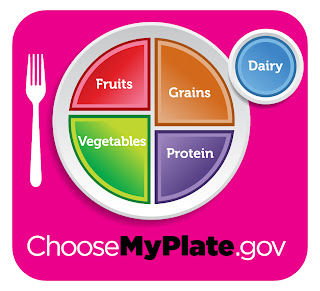 MyPlate, on the other hand, can help people make meal-time changes simply by comparing their plate to the new image. This change could go a long way to help reach weight loss goals. We all know it is important to eat fruits and vegetables, but controlling your portions may be one of the best (and easiest) routes to weight loss. One study examined the effect of a portioned plate on weight loss in people with diabetes. Researchers found using a portion control plate not only helped people lose more weight than those who did not, but it also helped them decrease their medications. So, a visual image that is easy to understand may help people control portions, lose weight, and improve their health. One concern about MyPlate is that it doesn’t help people understand the differences between foods, like whole grains versus refined products. However, the argument has been made that most Americans know what they should eat; but, they either don’t make the right choice or just eat way too much of it. In either case, this simple, user-friendly tool may help people be more mindful of the size, shape, and color of the foods filling up their plate.